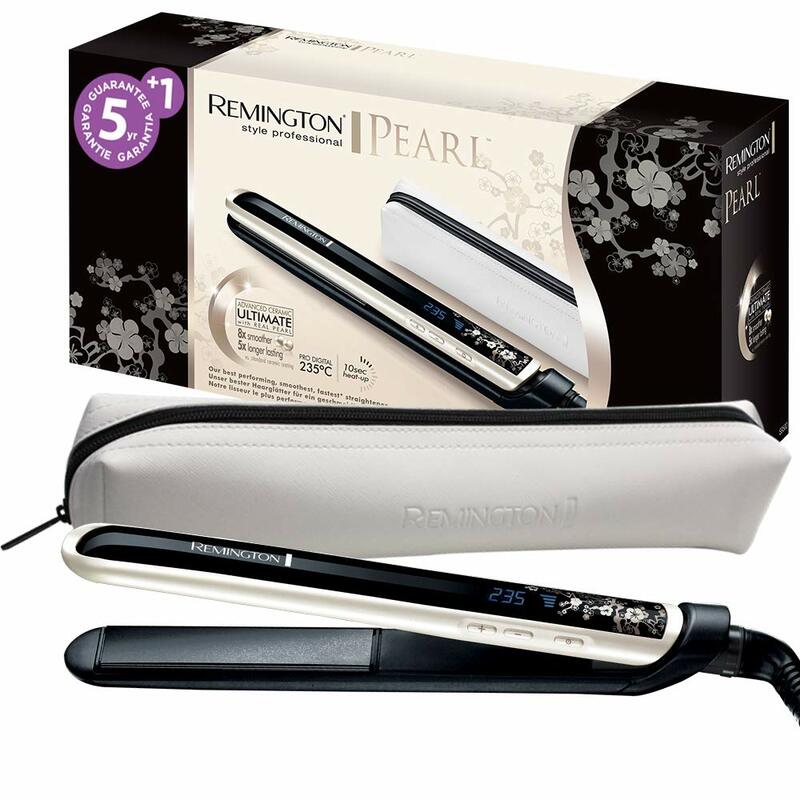 I’ve followed Remington for several years now, and they’ve always seemed to find some impressive hair-benefitting feature to implement into their hair straighteners – be it increasing shine, or speeding up straightening-time. So it’s inevitable that I got rather excited after giving their Therapy Collection a go. The Therapy Collection consists of three hair straighteners, each one aiming to eliminate certain hair concerns or needs; the Shine Therapy Straightener, the Wet2Straight Straightener, and the Frizz Therapy Straightener. The first straightener I tested was the Wet2Straight. With claims stating that the Wet2Straight is 86% faster than your current hair routine. For someone who can easily waste an hour on messing around with her locks, I was keen to put this claim to the test. Floating plates- these apply even pressure on the hair for less snagging and more professional results. Specially designed vents- these (allegedly) allow excess water to vapourise as you style, which makes for the drying-whilst-straightening function. Turbo boost function- this gives you an extra surge of heat when you need it the most-which is ideal for tricky-to-tame hair. Varied temperature settings- you can choose from 10 temperature settings between 140⁰C and 230⁰C- which is ideal for those of you with finer or more fragile hair. A heat resistant pouch- this adorable pouch is the ideal way to store your straighteners-even straight after use! For me personally, the Wet2Straight Straightener has a bigger bark than its bite, please hear me out before you’re put off from buying them, though! I used the straighteners on towel-dried, slightly damp hair as the instructions tell you to; they did the job of straightening and drying simultaneously, but something didn’t feel quite right. I’ve abused my hair a tad over the years – from styling, heat, and colouring, as most people have. After using the straighteners, I found that my hair felt very dry and brittle. Using heat on wet hair is never advisable, but you’d be wrong in thinking that these straighteners are a godsend for lazy people like me. For those of you with hair in amazing, close-to-perfect condition, you would probably fare much better whilst using these straighteners. I absolutely love the idea of these straighteners, but they really don’t beat a proper blow dry. Advanced Ceramic coated plates- infused with natural Moroccan Argan Oil and Vitamin E, your hair will be 86% shinier than it would be using another straightener. Fast-heating plates- 15 seconds, and you’re good to go. Varied temperature settings- you can choose from 9 temperature settings between 150⁰C and 230⁰C. 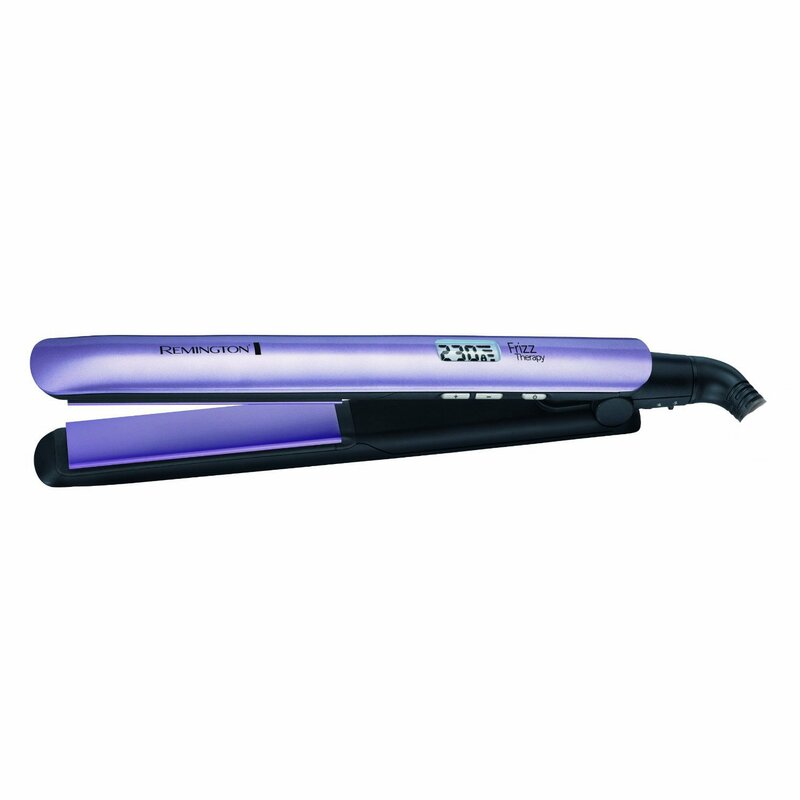 Auto shut off- these straighteners will automatically switch off after 60 minutes, which is ideal for the forgetful amongst you. A heat resistant pouch- again, a great way to store and carry your straighteners, even when still hot. The price is a steal, and the addition of the heat resistant pouch makes for a lovely gift. The Shine Therapy Straightener worked wonders for me – kind of. As aforementioned, I have slightly damaged hair from several years of heat, styling, and colouring. This sometimes means that my hair can look quite dull and straw-like, and seems to like any sort of shine. I purposefully waited until I had one of my dull hair days to use these straighteners- that is when my hair looks a bit ‘blah’, even straight after a wash.
My hair did look shinier, but you can definitely tell that it’s oil that is doing the trick. My hair felt slightly greasy and slippery to the touch at first, but it was preferred to feeling as though it was going to snap, and felt better after running my fingers through it a tad. I did plan to style my hair in an updo that day-but this proved practically impossible-yes, my hair was very shiny, soft, and sleek, but absolutely unmanageable. 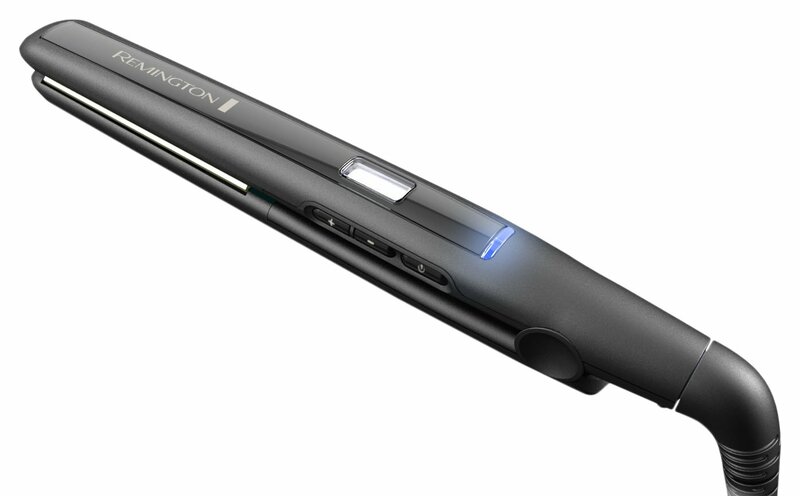 This is definitely a straightener to use when you’re literally letting your hair down. Towards the end of the day, my hair slowly started feeling worse; I couldn’t wait to get home and wash my hair- you should be getting the opposite effect from your hair straighteners! I would probably recommend using these straighteners the second or third day after washing. Any sooner and your hair will likely be slippery and unmanageable, as mine was. Anything after that, and you’ll likely end up with greasy hair. Another thing I found that massively improved the result of using these straighteners is to only use them on the ends of your hair; this is where most damage tends to show, and you’ll keep the oil away from your roots (where natural hair oils form). I’d definitely recommend these for people with extremely damaged hair. I’m not sure how you’ll fare in terms of your hair feeling greasy, but once you disperse any excess oil through your hair with your fingertips, your hair will definitely feel less ‘frazzled’. 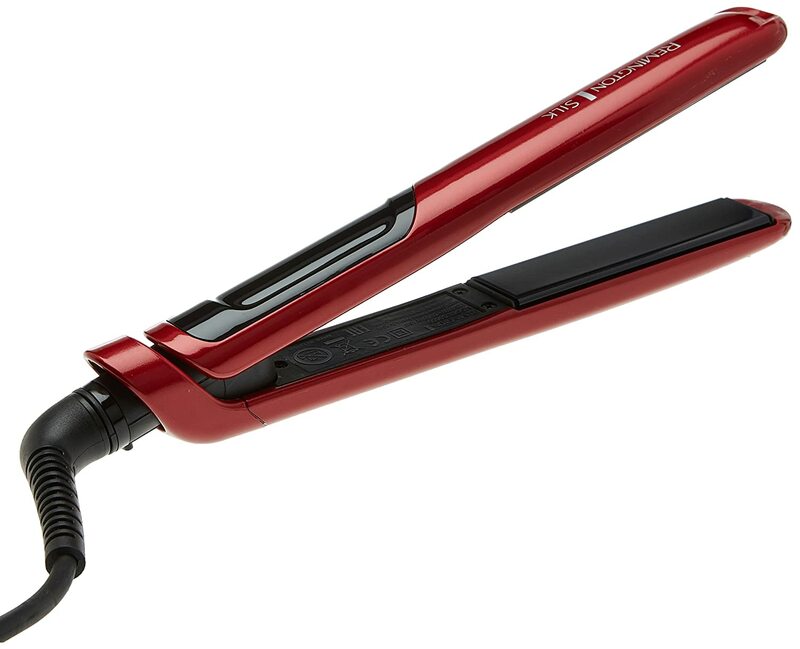 If your hair tends to be on the oiler side, or if your hair becomes greasy very quickly, then avoid using these straighteners like the plague. Overall, the Shine Therapy straightener will likely benefit other people more than it did me, but it may be a tad temperamental for some to use. 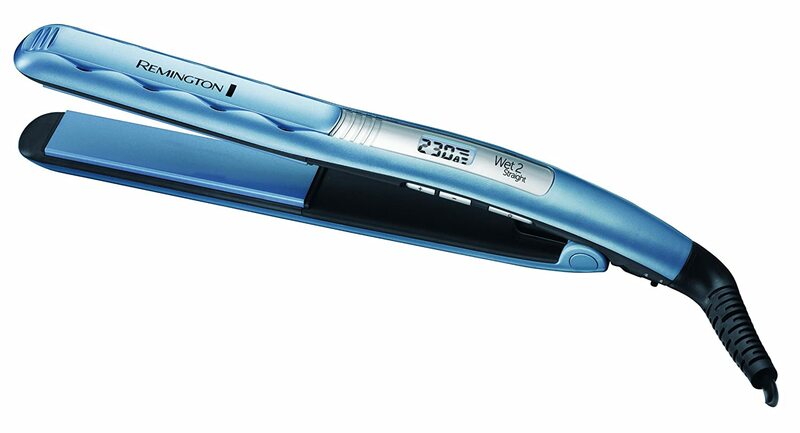 The last hair straightener in the range is the Frizz Therapy Straightener. ‘All day anti frizz protection’- this styler allegedly offers 15 hours protection against humidity thanks to frizz-resistant ‘Micro Conditioners’ that are released as the hair straighteners glide through your hair. 9 heat settings- you can pick from a choice of settings between 150°C – 230°C-whatever is best for your hair type! Turbo boost function- use this on any particularly tricky bits of your hair. Fast heat up- 15 seconds, and you’re good to go. A heat resistant pouch- a stylish and effective way to store and carry your straighteners- even whilst they’re still cooling down. As one of the few (effective) frizz-tackling straighteners on the market, I wouldn’t be looking anywhere else. I don’t have particularly frizzy, thick, or curly hair myself, so I instead tested it out on a friend that does, for more honest results. We were both honestly amazed at the results. The Micro Conditioners infused into the plates definitely made her hair smoother and sleeker, without making it look oily. I asked my friend to send me a photo of her hair after the 15 hours (how long the ‘all day anti frizz protection’ is meant to last), and her hair was still sleek, smooth, and shiny- even after leaving the house and facing the elements. She also commented that her hair was still fairly straight and under control the next day, even after it had been slept on. 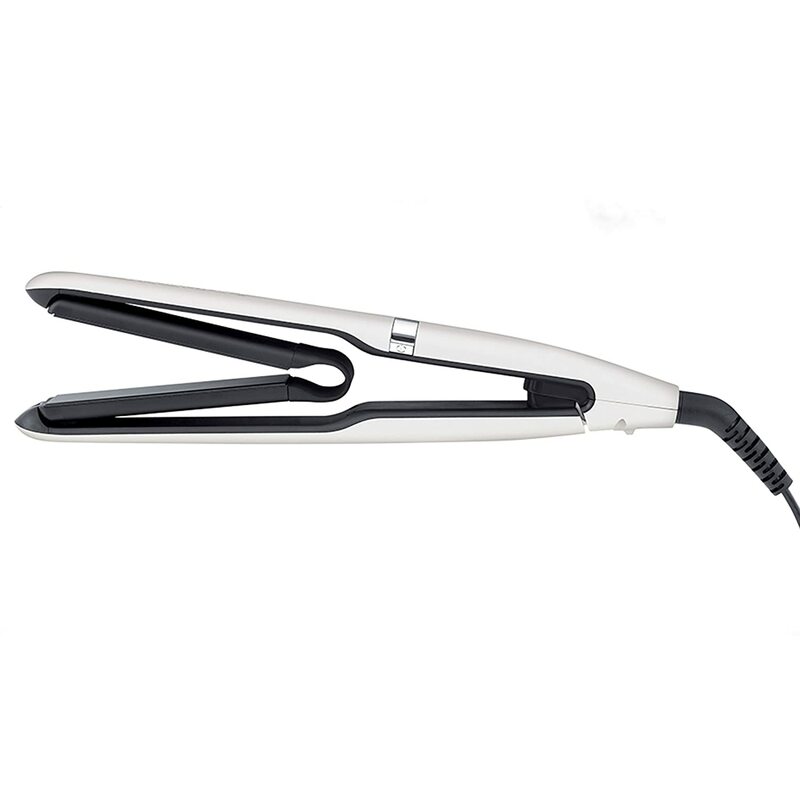 Clearly, this straightener does a lot to reduce the amount of heat styling that you need to use, for those of you with already-fragile hair. Much like the Shine Therapy straighteners, I would recommend these for anyone with thick, curly, frizzy, or damaged hair. The Micro Conditioners do a great job of taming your hair, without the often-greasy overload that you may get with straighteners such as the Shine Therapy ones. Regardless of the Micro Conditioners, I would avoid making more than 2 passes through each section of hair that you style- doing so will cause more damage than needed, and the Conditioners won’t make up for it. I would advise practicing your styling technique before you style your full head of hair- you probably won’t have to make more than 2 passes! I would recommend the Therapy Collection as a whole, but I would be wary of the hype around them, and would carefully research your hair type. The straighteners are designed with well intent, and do perform the way they’re claimed to- to an extent. The Therapy Collection is designed specifically for people with particular issues with their hair- if your hair is fairly normal and fuss-free, I’d stick to using an everyday hair straightener. I didn’t expect miracles from any of the straighteners, as the claims and statistics that backed them up were rather bold. However, the Frizz Therapy lived up to expectations for me and my friend, and I would urge anyone who feels as though they would benefit from purchasing it to do just that. The Shine Therapy straightener means well, but is executed poorly. It does deliver on its promise of adding shine to the hair, but there probably is no other way to do so than by coating it in oil. This may seem like a dream for anyone with damaged locks, but these straighteners prove that you should be careful what you wish for slightly. I wouldn’t say yes to avoiding them totally, but would recommend that you use them sparingly, and only where you really need to- you can still add shine to your hair by using styling products, which you’ll have more control of. 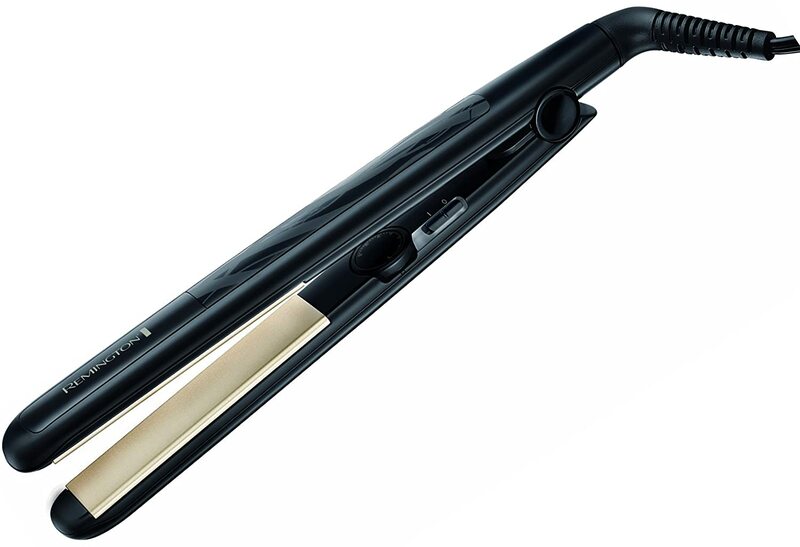 The Wet2Straight Straightener seemed too good to be true- and it was. It did do as promised and straightened and dried my hair simultaneously, but not without damaging it somewhat. Its common knowledge that you should never use heat on wet hair let you literally fry it, so I think it’s unwise to abandon that fact on the premise of saving time. However- people with hair in much better condition than mine would probably get away with using it, and you would probably be okay only using it occasionally, or on certain sections of hair. The GHD IV Styler is probably one of the most-used and most-loved hair straighteners across the globe- but how did the problem-tackling Therapy Collection fare against it? 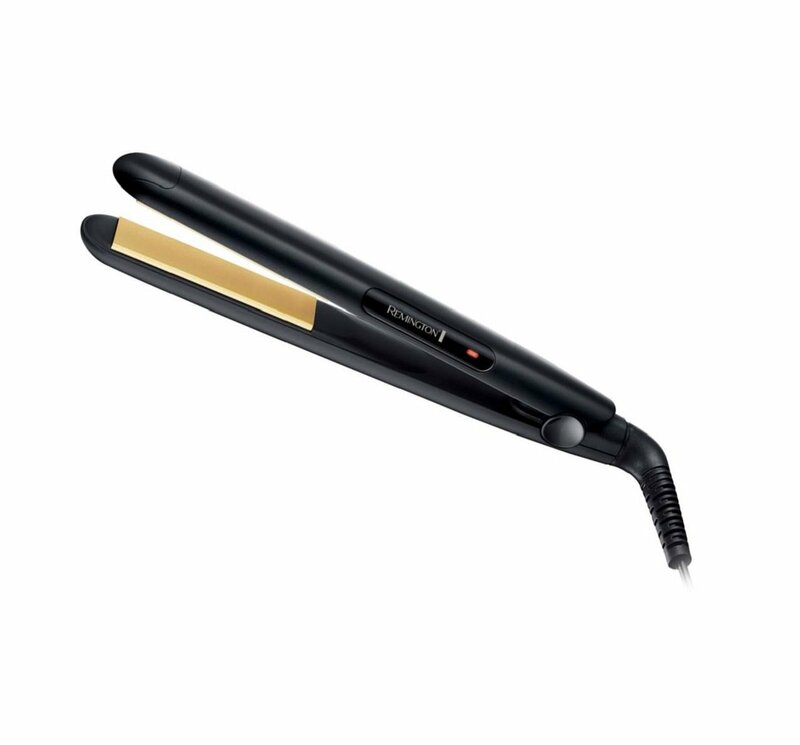 GHD straighteners only operate at one temperature – and an extremely hot one at that. This means that people with fine, fragile, or excessively-damaged hair may not be able to use them- and that the Therapy Collection may be a better choice. It’s rather difficult to compare hair straighteners infused with oils/ conditioners or tailored to also dry hair against a run-of-the-mill straightener, but regardless, I still find it difficult to believe that anything can outperform GHDs technology. Unfortunately sounding better than they actually are, the Wet2Straightener Straightener is not something that I can say I will ever be using on a regular basis. Whilst they do indeed straighten hair and are commendable for this reason, there is nothing particularly noteworthy that makes it worthy of any further recommendation. If you have damaged hair, then the Shine Therapy Straightener is probably something you should check out because it will no doubt do wonders for you. Whilst it may not have completely blown me away when I used it, there's no denying that they are useful and are sufficient in doing their job. The Fizz Therapy Straightener is something that I would highly recommend, but only if you actually have the frizzy hair in need of therapy. Whilst it is something that I don't have any particular use for, it is easy to see that they will benefit a great number of people and so I would advice anyone with this particular hair type to strongly consider them. I have the S-8500 straighteners and the on/off button won’t work can you tell me a local repair agent near SO50 4RR they cost a lot of money and I don’t want to throw them away if it is easily repaired the switch has always been temperamental from day one, thanking you in anticipation.